GENTLE HAIR CONDITIONER pure argan oil unscented hair conditioner is mild with a silicone free fragrance free paraben free and sulfate free formula for sensitive skin and dry itchy irritated scalp. 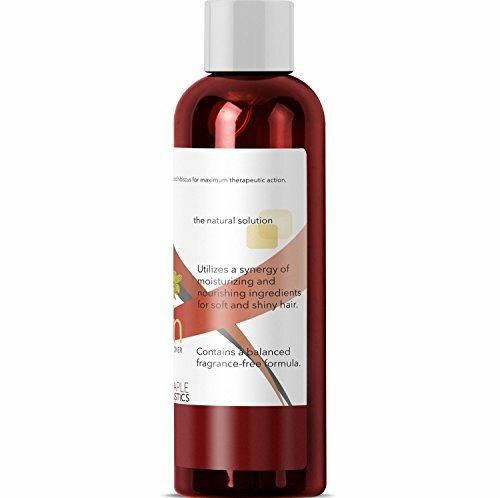 ADVANCED HAIR VOLUME + GROWTH hair strengthener treatment is comprised of therapeutic Argan Jojoba Pomegranate Shea Butter Sea Buckthorn Hibiscus Green Tea Aloe Vera Silk Protein and Phyto Keratin. NOURISHING MOISTURE conditioner for thinning damaged hair repair. Rejuvenates dull brittle tangled hair making it silky soft & smooth resulting in curly straight or wavy hair with body & radiance. AMAZING LOOKING HAIR herbal blend for dry hair nourishment. Defrizzer infuses shine & luster for salon like results. Volumizing hair conditioner doesn’t weigh thin hair down for beautiful bouncy hair. 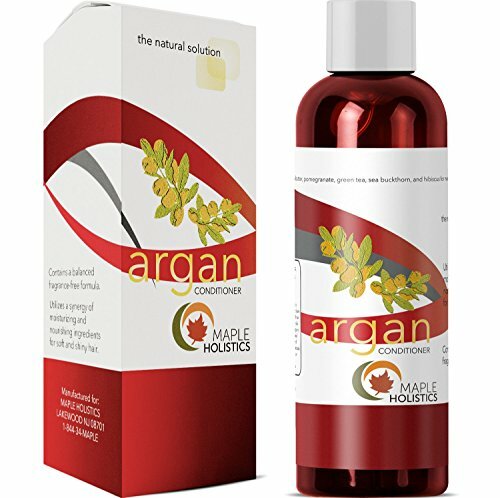 MONEY BACK GUARANTEE pair our hypoallergenic scalp health boosting conditioner with argan oil shampoo and 100% pure Moroccan argan oil for optimal anti-aging restoring and revitalizing results. 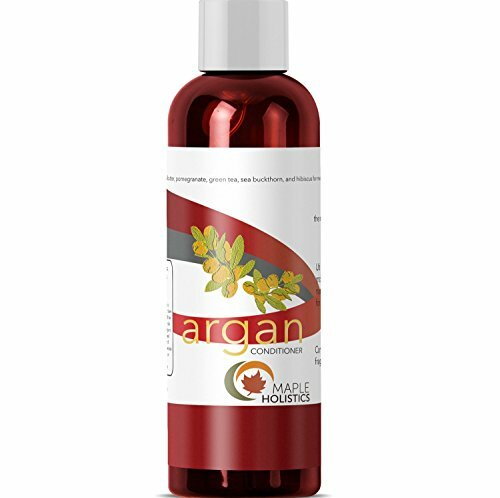 Revive and rejuvenate dry damaged hair and scalp with our vitamin rich argan oil formula. Our homeopathic remedy not only repairs brittle, weak, over processed hair but completely transforms it to be soft, smooth, silky, voluminous and healthy. Essential vitamins, minerals, antioxidant, and fatty acids work together to nourish hair and promote healthy hair growth for longer, stronger, easy to manage hair. Sulfate free hair conditioner is made from all natural herbal oils which infuse hair with vitamin A and antioxidant vitamin E. Professional quality hair conditioner improves all hair types and textures including; curly hair, straight hair, wavy hair, thin, hair, and thick hair. Our rich formula contains powerful botanicals including; Argan, Jojoba, Pomegranate, Aloe Vera, Shea Butter, Sea Buckthorn, Hibiscus, Green Tea, Silk Protein, and Phyto Keratin to restore, rebuild, and strengthen hair strands while soothing and nourishing the scalp for a balanced beautiful head of hair. Get your best hair yet with our exclusive blend of naturals oils, butters, and botanicals that protect hair from damage while repairing and deep conditioning for youthful vibrant locks. 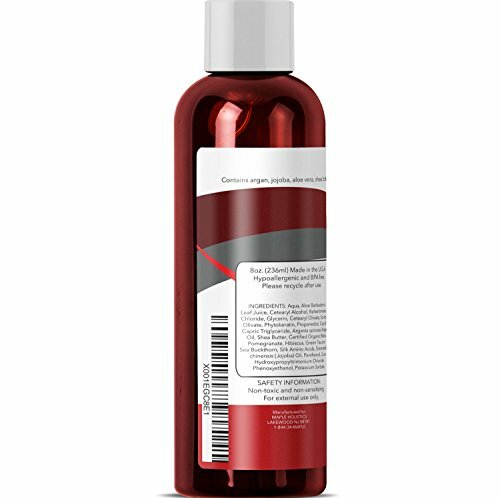 Shine enhancing conditioner is silicone free, sulfate free, paraben free, and contains no artificial colors or harmful ingredients which makes it safe for color treated hair. To boost results, use with Argan oil shampoo! 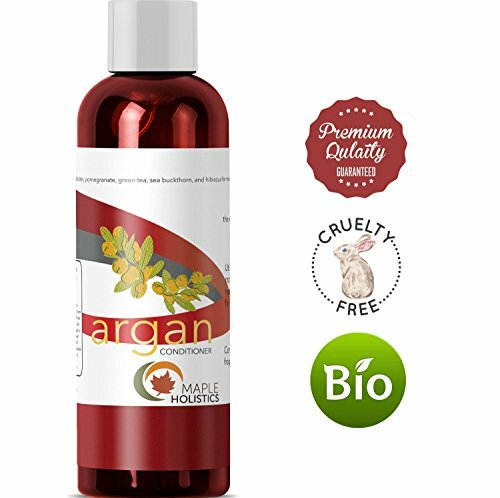 GENTLE HAIR CONDITIONER pure argan oil hair conditioner is mild with a silicone free paraben free and sulfate free formula for sensitive skin and dry itchy irritated scalp. AMAZING LOOKING HAIR herbal blend for dry hair nourishment. Defrizzer infuses shine & luster for salon like results. Volumizing hair conditioner doesn't weigh thin hair down for beautiful bouncy hair.